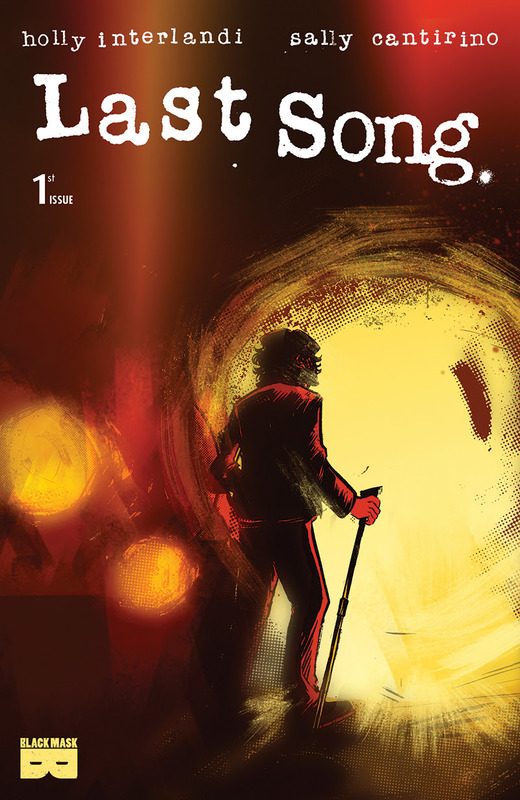 The Fellowship has obtained a first look at LAST SONG #1 from Black Mask Studios. 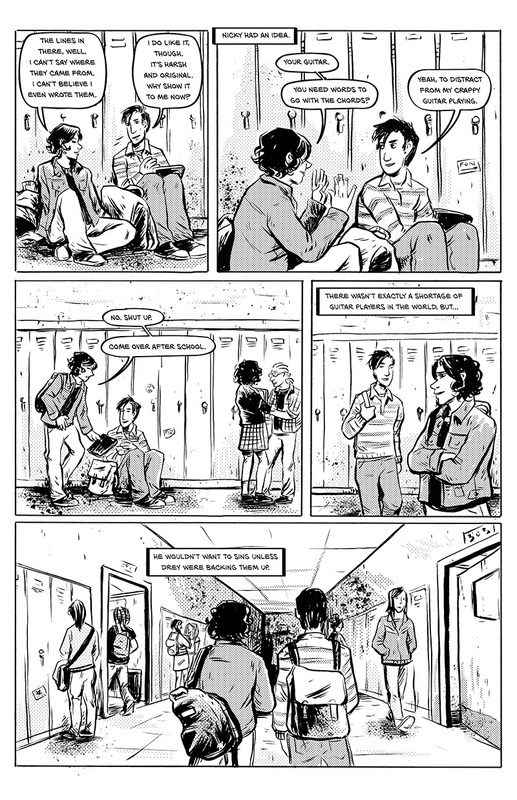 The issue, which hits stores July 12th, is written by Holly Interlandi with art by Sally Cantirino. 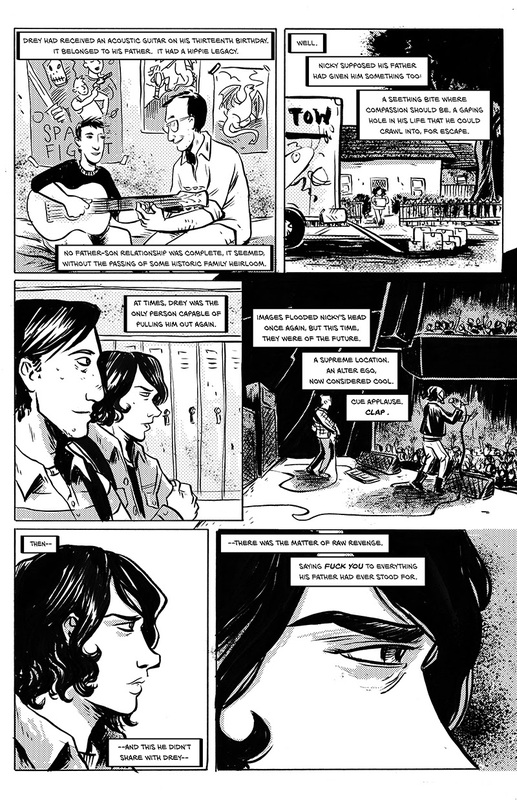 Nicky Marshall was saved by rock and roll - or so he likes to think. 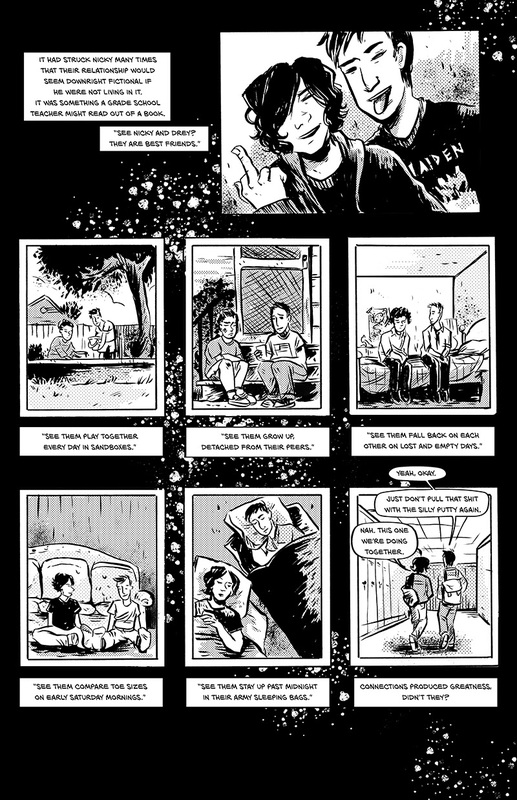 An awkward upbringing and turmoil following his father's suicide led Nicky to form a band called Ecstasy with his childhood friend Drey. The music takes them to Los Angeles, raw and gritty and teeming with personalities. Nicky thinks they're ready for stardom, but no one's ever ready for stardom. This first of four oversized issues begins in the 1980s, grows out of grassroots clubs & introduces Ecstasy to the world - whether it's ready for them or not. 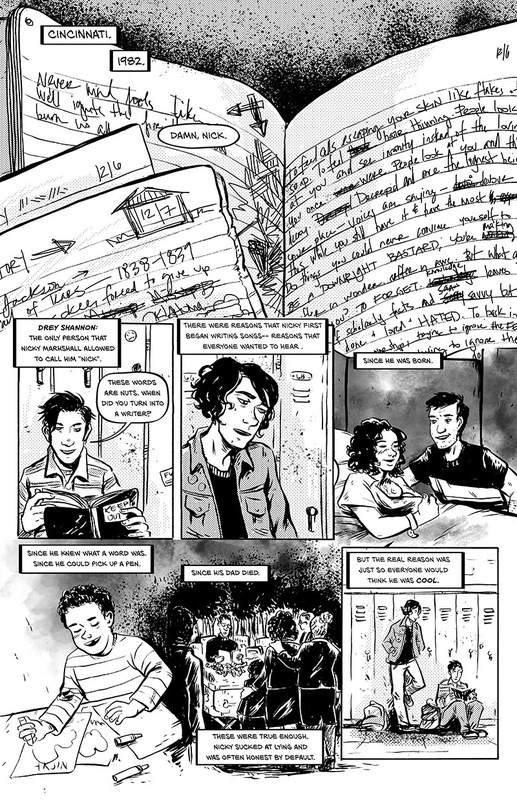 From the brand new team of Holly Interlandi on scripts and Sally Cantirino on pencils & inks, this unique, heartbreaking story is about letting the music in... how it changes you and affects everyone around you, for better & worse.